The carboxysome enhances CO2 fixation inside many photosynthetic and chemoautotrophic bacterial cells by encapsulating the key enzymes ribulose-1,5-bisphosphate carboxylase-oxygenase (RuBisCO) and carbonic anhydrase. Interestingly this structure is icosahedral like viral capsid and has a T=75 symmetry . 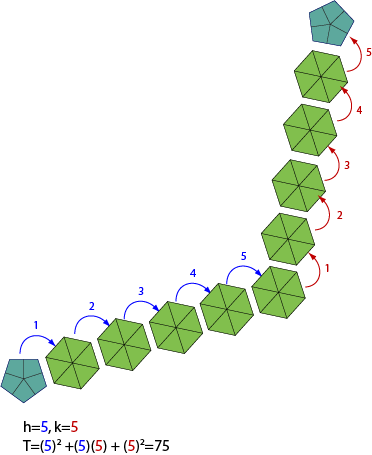 T=75 icosahedral carboxysome is composed of 12 pentameric and 740 hexameric capsomeres for a total of 4500 carboxysome proteins.